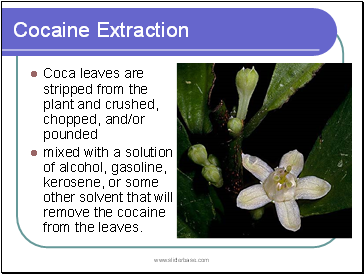 mixed with a solution of alcohol, gasoline, kerosene, or some other solvent that will remove the cocaine from the leaves. 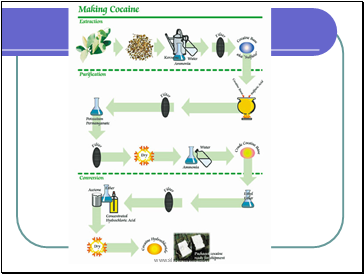 The resulting liquid contains unpurified cocaine alkaloids and waxy material from the leaves. 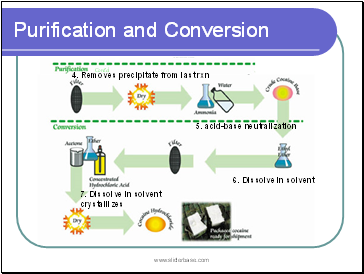 The waxy material is removed by heating and cooling the mixture, which solidifies the unwanted wax. 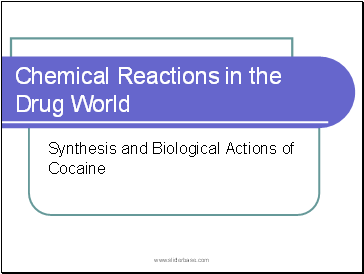 cocaine alkaloids are isolated from the liquid using acid and base mixtures. 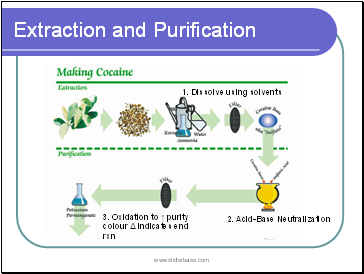 The removed alkaloids are then treated with kerosene. 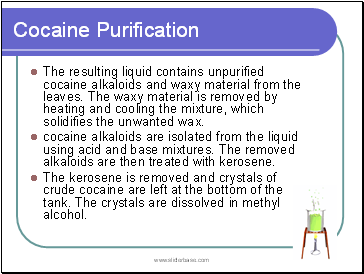 The kerosene is removed and crystals of crude cocaine are left at the bottom of the tank. The crystals are dissolved in methyl alcohol. 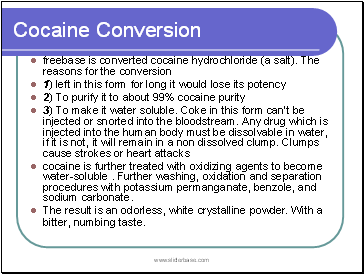 They are then recrystallized and dissolved in sulfuric acid, which results in cocaine that is about 60% pure. 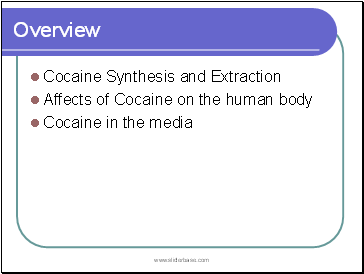 cocaine at this point is freebase cocaine (crack). 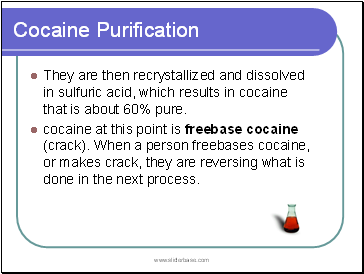 When a person freebases cocaine, or makes crack, they are reversing what is done in the next process.